The opening credits. So surreal yet awesome. Plus Adele’s voice in the background, it’s just perfection. I like how the movie started intense with all the action happening here and there. The motorbike chase in the rooftop was impressive (which briefly reminded me of Taken 2 – similar rooftop chase sequence in Istanbul) . And the train stunts were nerve-wracking. I was unconsciously doing some dodging movements on the tunnel scenes out of fear of i dunno… being hit I guess. Lol. Silly me. But that’s how engrossed I was. And I love it how Bond kept his cool when he entered the train like nothing happened. Like he just didn’t tear open the train with a tractor (or a backhoe?) then walked away in style like he wasn’t shot in the arm (Sleek and nifty. Not a single f*** was given. Harhar). Q – his youngness, his geekiness and his penchant for espionage. How adorkable! Lol. The little detail like how Bond like his vodka martini — shaken not stirred. Appreciated that scene sans the famous catchphrase. 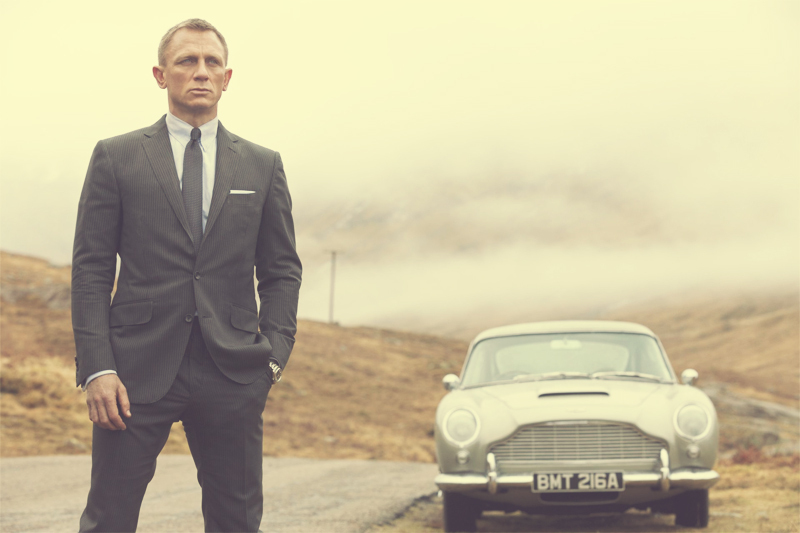 Bond’s less womanizing in Skyfall. But yeah, a womanizer still. Love them. Leave them (Sometimes dead. lol. ‘Coz the baddies killed them).Yep, that’s definitely his style. M and Bond’s sarcasm and dry humor. But you know that they genuinely cared for one another. Bad News, Lord Voldermort has been resurrected. Good news, he’s one of the good guys now. Heehee. Moneypenny! Moneypenny! Miss Moneypenny that is. Hahaha. Okay I just love to say her name. 🙂 I wonder what was Ian Flemming thinking (Penny for your thoughts? Heehee) when he gave her that name. For James Bond, I know he wanted the most boring sounding name but for Miss Moneypenny?